Hamilton "Square-Cut Corner" Sub Seconds Ca. 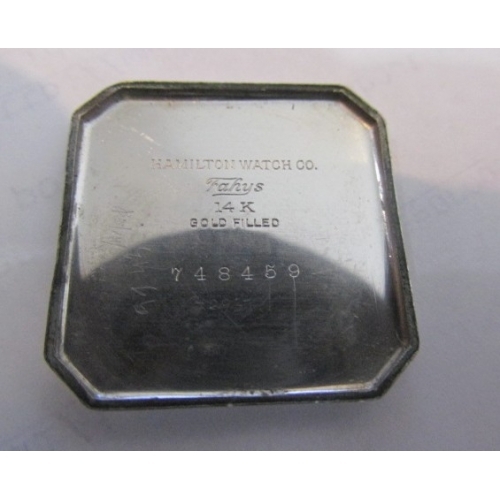 1927 Very nice Hamilton in white gold filled case in very high condition. 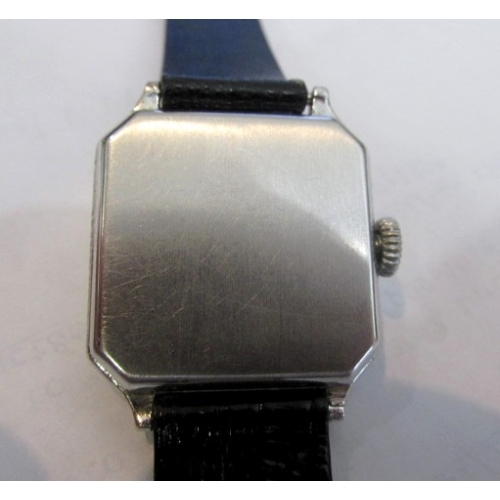 Dial is factory original with luminous numerals and matching hands.... it is showing its age some ...but looks great. Case measures 28mm x 35.2mm overall and comes with brand new padded strap. 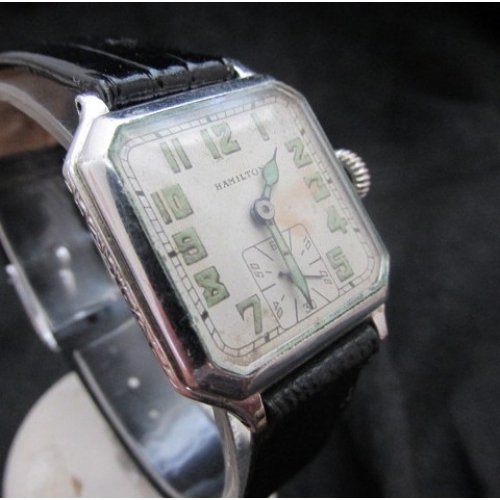 Watch was produced in 1927 and is in very high condition and running perfect. 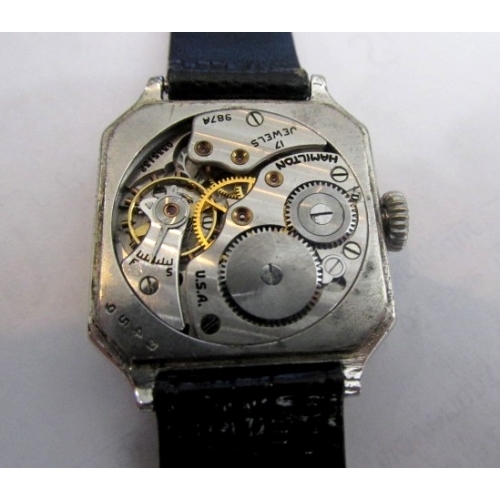 Movement is a caliber 987-A with 17 jewels and sub seconds, fully serviced and ready to go. 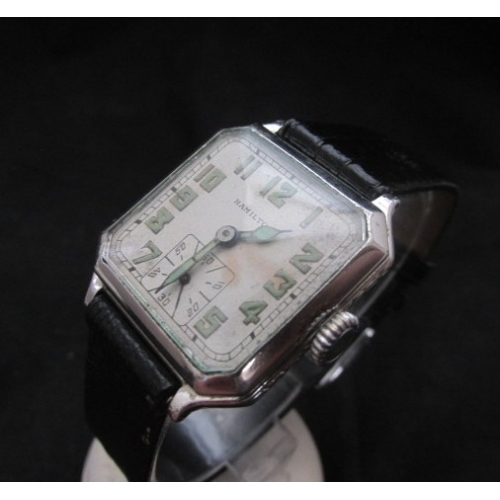 If your looking for an all original example with original dial....don't miss this one! 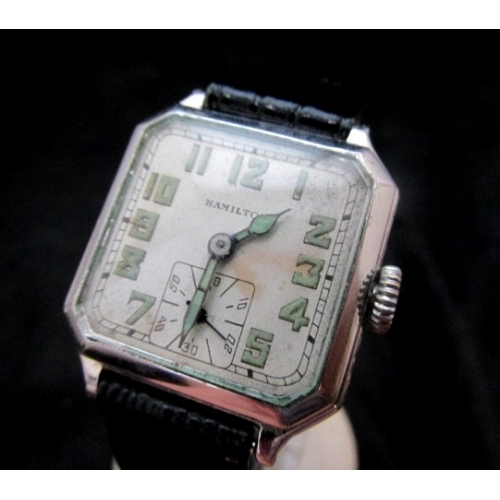 Very nice vintage Hamilton !